The notions in a quadralectic communication reveal the far corners of the earth and beyond. The thoughts of man are a multiplicity, which provides us with infinite views. Some might even be afraid that a deepening of reflection leaves the human self-image out of control. The great unknown has, at any given time, major surprises in stock. However, there is also the reassuring fact that the quadruple experience offers resources as well. The wandering mind (crossing division boundaries at will) sees things, which were unknown before and can be most helpful to establish an emotional self. The very moment of realization that our experiences are the result of deliberate division choices in the field of reality means the end of naivety and a time for commitment. Facts are, at scrutiny, just events determined by the person, which takes the responsibility to define them. The history of philosophy shows various stages of cognitive building activity. The Greek philosophers have put down the fundamentals in a way, which can hardly be improved upon. The Neo-Platonic thoughts at the turn of the Christian era provided the translucent sketches for the continuation of the building, which were readily picked up by the Renaissance and Baroque thinkers. The walls formed the different rooms (in a rationalistic setting) and the metaphysical structure of the European culture became recognizable. The flag went in the top during the participation of contractor Immanuel Kant, because the highest point of the roof was reached. The assiduity continued after that victorious moment (at the beginning of the nineteenth century) with further beautification. The progress in other fields of nature was incorporated in the basic understanding of the human mind, leading to the cognition that knowledge itself was relative. The flag on the roof was put down, and construction became known as deconstruction. The question of today is no longer a matter of wisdom, but rather of human opportunity: is anyone prepared to live in the finished product of our philosophical investigations? ‘Knowledge is a building; the main purpose of this building is solidity. The foundation is solid, and as it has been laid, the purpose is already attained. But since one cannot live in a mere foundation, since it does not provide sufficient protection against intentional attacks of the enemy or against the unintentional attacks of the weather, lateral walls are built, and over them a roof. All parts of the building fit in with the foundation and with one another, and thus the building as a whole becomes solid; but one does not build a solid building for the sake of joining it together, one joins it together to make the building solid; and it is solid if all parts of it rest on a solid foundation.’ (J.G. 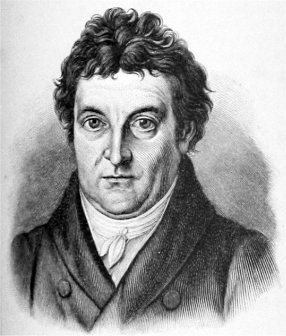 Fichte (1794). Ueber den Begriff der Wissenschatfslehre. In: Sämtliche Werke, ed. I.H. Fichte (Berlin, 1854), vol. 1, p. 42). These arbitrary (and hierarchical) stations will, once more, been used to review the quadralectic way of thinking. The course through the quadrants is at the same time compared with the handling of a relict in the Middle Ages, to give an example of the way a precious thing was picked up in the past. STRUBBE & VOET (1960/1991) described the four stages in the conservation process from the original uncovering to the subsequent veneration of the holy object. Both examples (of building and relict handling) have a linear character in common. Actions are spaced in time from a beginning (out of an undiscovered past) to a completion (in an arbitrary present or future). The examples, therefore, have, unmistakably, a dualistic background – from becoming to being – which is not in line with the general intentions of quadralectic thinking. The latter type of division thinking assumes that every point of view is simultaneously present during the whole interaction of a communication. Philosophers – from Schleiermacher and Dilthey to Heidegger and Gadamer – have used the term hermeneutic circle to indicate the circularity of all understanding. Comprehension can only come about through a tacit foreknowledge and interpretative assumptions. The quadralectic vision recognizes four notions. They are equal in value and significance during the whole course of the communication. The absence or presence of a ‘construction’ (or relict) in an interchange only points to a certain type of visibility in the relation between an observer and the observed. The physical presence (as visible visibility) does not rate ‘higher’ than other types of visibility (like the total absence of presence in the invisible invisibility). This impartial four-fold setting has to be kept in mind in the following recapitulation in terms of construction and relict finding. It might look like a (linear) ‘development’, in the way of sequential presentation, but it should not be understood that way. The (fictional) observer can take a position at any of the given stages and regard this location as a point of view.